I have no idea what "InstaHanger" is, sounds like an "As Seen on TV" gadget. You'd have to be careful how you mounted it. You don't say what you want to put it in/on, but most RV walls aren't very solid except at the wall support structures. InstaHanger. It does not appear to be an As Seen On TV item, but definitely sounds like one. As long as it is hung on a stud, it should work nicely to add hanging space. Just don't get carried away with how much you put on it. i'm new to the forum and don't know how to add pics... but the Instahanger is available everywhere..
need to add more hanging space in travel trailer. 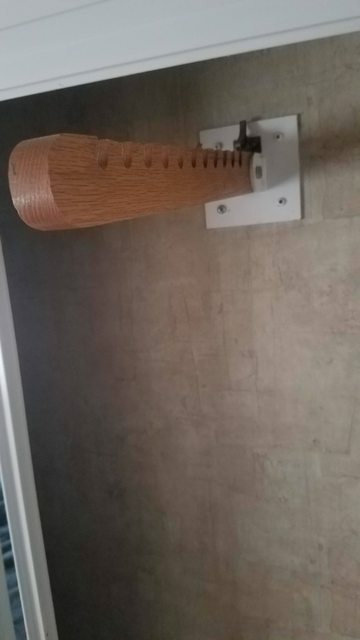 we’ve had that type of rod installed above our shower in all of our motor homes since the first in 1986. great for hanging wet towels to dry. We have a pair of those hanging in our S&B laundry room with a car's back seat clothing bar running between them. Very useful, but I don't think I would put one in my RV. Putting wet clothes on it carries a not insignificant amount of weight and torque. 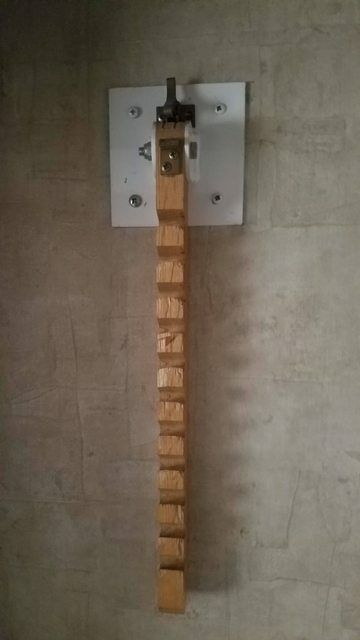 Mine are screwed into studs at the house. I wouldn't trust the RV wall to hold that amount of pressure. It would probably work well at your S&B. However, in your RV, if you put 50 pounds on the rack it will be a lot of stress on the stud when you go bouncing down the road. I have a shallow closet that has one of these in it and it works very well it holds 10 shirts. When I want something I just fold it out and it locks into place. I have a Instant Hanger at home in my laundry room. Great idea for the RV.